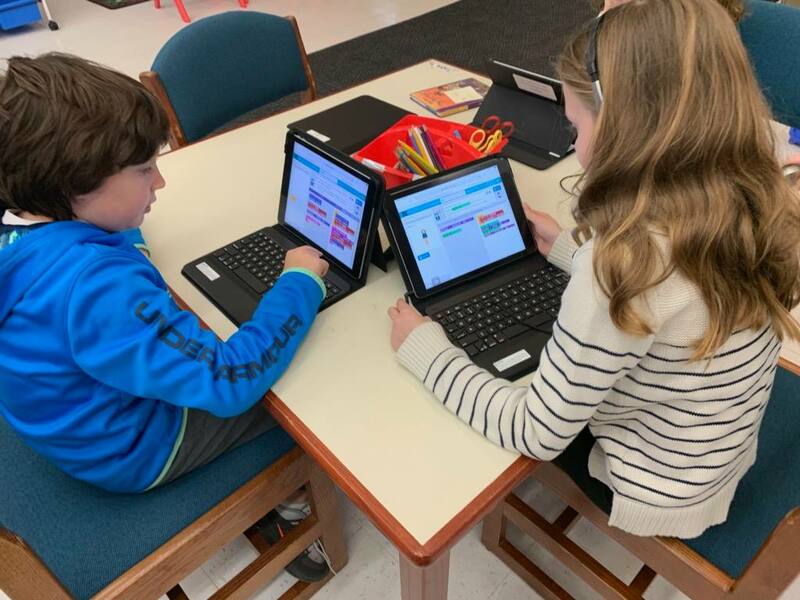 In observance of Women's History Month, third graders in the Library Media Center celebrated women in STEAM. This week, Ms. Cuff taught the students about Mae C. Jemison (an American engineer, physician and NASA astronaut who became the first black woman to travel in space when she served as an astronaut aboard the Space Shuttle Endeavour) and Katherine Johnson (an African-American mathematician whose calculations of orbital mechanics as a NASA employee were critical to the success of the first and subsequent U.S. manned spaceflights). Students then completed coding challenges through Hour of Code.